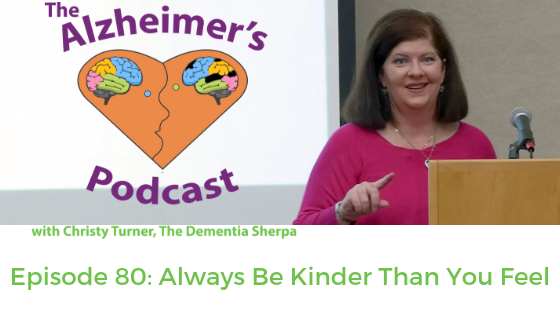 Welcome to Episode 80 of The Alzheimer’s Podcast, where we’re all about bringing The Good Stuff (that’s respect, kindness, love, empathy, and compassion) for people living with dementia, their families, and the professionals who support them. I’m Christy Turner, AKA The Dementia Sherpa. I’ve enjoyed the privilege of working with over 1,500 people living with dementia and their families so far, including multiple experiences in my own family. 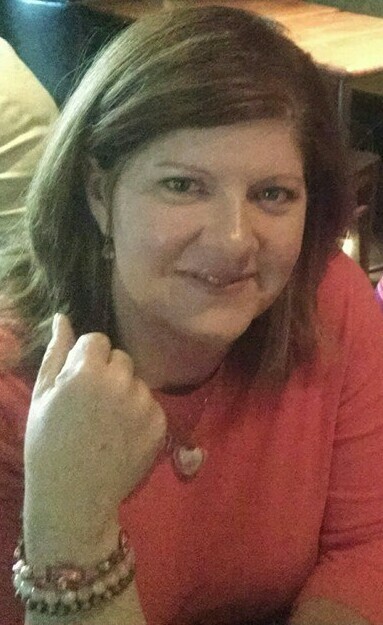 In this episode of Navigating Rough Terrain with the Dementia Sherpa, I chat with Bonnie Lais, a family care partner who raised her hand when I asked for volunteers to come on the show and share their acquired wisdom. We cover a lot of ground, from how Bonnie landed in Dementia World, to the best thing she did during the experience, who she begged for help, and how her abusive childhood prepared her for being a family care partner. Bonnie drops one golden nugget after another throughout our conversation, so I’m really excited to share part one with you. The importance of belonging to a community of people who understand what you’re going through. Join the private Dementia Sherpa Facebook group Tips, Tricks, and Tools for Dementia Care Partners and/or find a support group near you. Knowing where important documents and passwords are: MemoryBanc was invented for this very reason. As Bonnie says, you can learn a lot on YouTube. Head on over to the Dementia Sherpa YouTube channel for more tips and strategies. Never miss an episode! Subscribe to The Alzheimer’s Podcast.